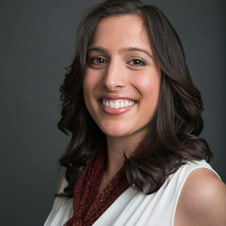 Naomi Grewal leads the North America Consumer Insights Research team at Facebook. Her team produces industry thought leadership research to understand people across generations, geographies, devices and time. Prior to Facebook, Naomi held leadership positions within the market research industry including stints at SurveyMonkey, YouEye (now UserZoom), Ipsos, and L2 Inc. She has also served as a Visiting Assistant Professor of Psychology at Mills College in California. Naomi holds a Ph.D. in Cognitive Psychology from Claremont Graduate University, and was recognized with the Neuro Talent of the Year Award from the Neuromarketing Science and Business Association in 2012. She resides in the Bay Area and is based out of Facebook’s Menlo Park HQ.